Big Brother is always watching. That's what we've come to believe, at least in our online lives where our personal viewing habits are tracked and used by advertisers to try to sell us stuff. But shutting down your computer and other electronic devices allows for a little private time, right? Well, not necessarily. Not if you're driving in your car. In the video below, Money Talks News founder Stacy Johnson discusses the ways in which your driving habits can be recorded and tracked. Nowadays, most new cars have an electronic data recorder, which notes what your car's sensors are picking up about your speed, braking and other factors like use of safety equipment in the event of a crash. In essence, the EDR is your vehicle's black box, recording what transpired in your car's systems in the seconds before and during a crash. "EDRs do not collect any personal identifying information or record conversations and do not run continuously," the National Highway Traffic Safety Administration says. While the data can be used to improve car safety, a recent article in Consumer Reports magazine countered: "Still, there is concern about the accuracy of the data, who owns it, and how it's being used. The NHTSA says that it considers the information the property of the vehicle owner, and automakers say that the data is accessed only with the owner's consent." However, only 14 states have laws to protect the privacy of EDR information, Consumer Reports says. 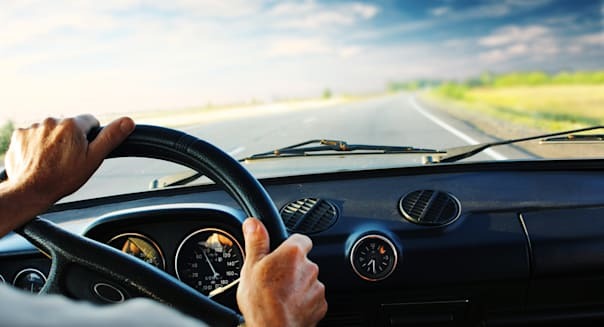 Remote connection services, such as GM's (GM) OnStar, Ford (F) Sync and Chrysler's UConnect, come with an array of benefits, like navigation services, vehicle tracking, roadside dispatch and assistance in the event of an emergency, diagnostic checks and remote updates. But does it come at the expense of the driver's privacy? Consumer Reports wrote: "Though EDRs capture only a few seconds of data, telematics systems provide a regular stream about a car's location and other parameters. And it's not clear what data is collected and what is done with it. Even automakers don't seem sure about the best ways to use it. When you're uncertain about the route to a particular destination, it's second nature to power up the GPS on your dash or smartphone. While they definitely save time, your location information is being transmitted in order for it to work. This transmission of data by GPS devices and telematics systems has prompted privacy concerns and has the attention of Congress. The Kicking Tires blog reported: "The Government Accountability Office audited privacy practices for 10 providers of navigation or telematics services in 2013: the Detroit Three, Nissan (NSANY), Toyota (TM), Honda (), portable navigation providers Garmin (GRMN) and TomTom, and smartphone navigation developers Google Maps (GOOG) and Telenav (TNAV). GAO interviewed privacy advocates, investigated exactly what those companies do with your information and compared it to industrywide best practices for privacy protection." In a 32-page report to Congress, GAO found the providers fall well short of those practices. Auto insurance companies are offering discounts of up to 30 percent that could cost you privacy behind the wheel. Many leading car insurers -- such as Progressive, State Farm and Allstate -- provide a device that plugs into your car and records information like how fast you drive, how hard you brake and when you're on the road. It's called pay-as-you-go or usage-based insurance. It's also the source of privacy concerns. Ron Lieber of The New York Times wrote: "Usage-based insurance, as the program is known, generates vast amounts of data. While insurance companies are pledging to keep it to themselves for now, some experts believe that we're only a few years away from companies' contributing complete driver histories into a central industry database. Then, we'd all have driver scores like the numbers that FICO (FICO) helps creditors calculate, which would follow us around whenever we shopped for a new auto insurance policy." Lieber also noted that some insurance companies would like to start tracking where you drive. Keep a low profile. "Don't share self-identifying information, such as your Facebook (FB) status or publicize your location on social media. Also, don't store an address labeled 'home' in a navigation system; instead, store the address of a public place." Use your vehicle's phone system with caution. "Don't download contacts to the car's phone system, and turn off the phone's Bluetooth connection to the car when you exit." Skip automated tolls if you can. Turn off your cellphone and remove the battery. Even if the phone is off, location data is still being transmitted, CR says. Take your portable GPS with you. And if you sell a car with GPS, make sure your old data is no longer stored in the device. -Karen Datko contributed to this post.